We’ve all met someone, that hurt you so badly, there was no way for you to stop yourself from hating them. In fact, it is even included in the normal steps to take for the healing process of breakups. However, I am here to say, Hate is a wasted step. Hate is like cigarettes. You think it is making you feel better but it is actual a depressant. You feel like you can stop hating if you just get it out, but you end up addicted. It is not helping you heal anything, and I found this to be true from my own experience. it makes you feel smaller, defeated, and worthless. I am here to share with you hating has never worked for me. Here are my top 10 reasons I feel Hating someone, makes you hate YOURSELF. 1.) It gives them Power over you. You are putting yourself in the weaker position. Forever the ‘Victim’. Nobody will every be happy remaining a victim. 2.) It fills your being with Negative energy. That feeling of “Hate”, is extremely heavy, and potent. It distinguishes any possible good thing that could come your way. 3.) Hate brings out the worst in you. It feeds off your fear, and has a life long partnership with anger, bitterness, and jealousy. All things that destroy the gem that you are. 4.) You might feel like you need to hate, just to get it out. However, thats not how hate works. Hate grows bigger the more attention you give it. I’m sure anyone who has hated anyone knows this to be true. 5.) John Lennon once said, “Don’t hate something, you do not understand.”Sometimes you just don’t understand how people can be so evil or cruel, the ability to feel empathy for someone who screwed you over makes you the better person. This will give you the confidence, that you were not the problem. 6.) The more you Hate someone who screwed you over, the more you want to belittle them. However, deep down in your psyche you remember they did this to you. They affected you, this means you are still under their power. As stupid as you call them, you will feel stupider for being defeated by someone like that. This chips at your own confidence. 7.) Hate also causes angry wrinkles. They give your face a Evil witch of the west face. 8.) Hate takes a lot of energy. It is more difficult to heal if you are using all your energy on hate. 9.) Hate makes you relive all the horrible moments. Every time you think about all this person did to you. Every time you relive it, they come out victorious. Not until you change your beliefs or understanding on the situation can you come out as the winner. 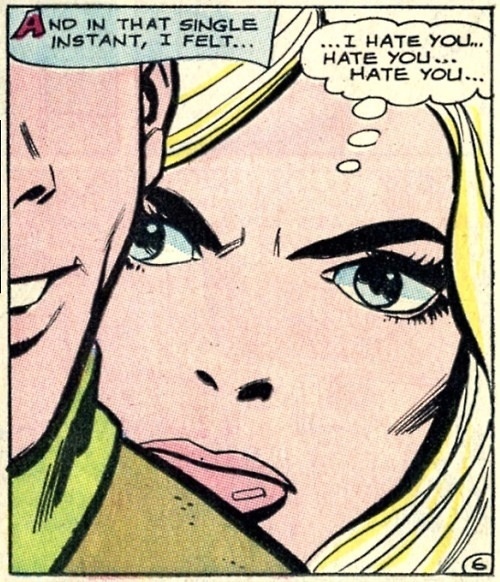 But…what’s not to love in an Evil Witch of the West face?